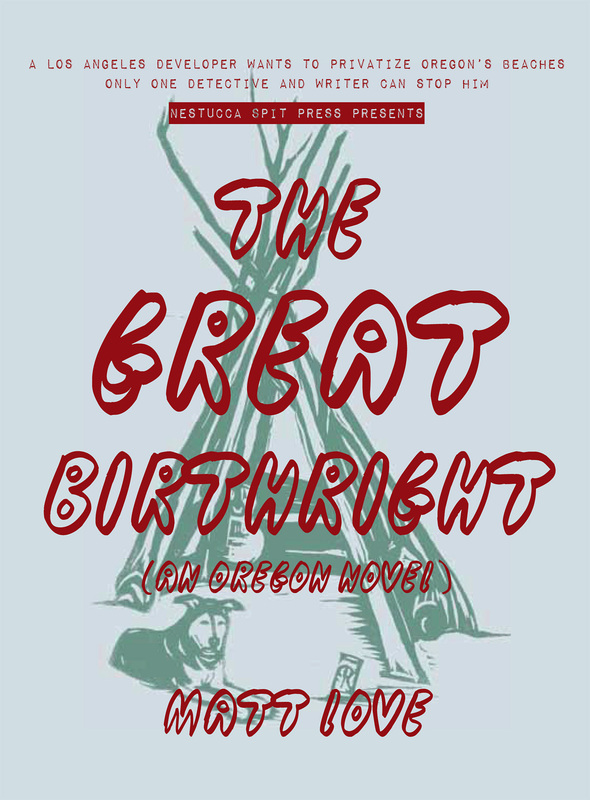 Nestucca Spit Press announces the release of The Great Birthright: An Oregon Novel, by Matt Love. In his fiction debut, Love bends and twists the detective novel genre with hilarious, unexpected and political results. The premise: a Los Angeles developer is trying to privatize Oregon’s publicly-owned beaches, its vaunted “great birthright,” and only one washed up detective and self published writer can stop him. In The Great Birthright, a slick and tanned Los Angeles developer, Ronald Ryan, colludes with medieval US Supreme Court Justice Antonin Scalia to have Oregon’s famous 1967 Beach Bill declared unconstitutional. Once the Beach Bill disappears into the ashbin of history, say “hello” to the New Jersey and Malibufication of Oregon’s beaches: boardwalks, espresso stands, security guards, fences, no dogs, no bonfires, no fort building, NO TRESPASSING signs. Welcome to hell. The Great Birthright includes 37 photographs, a candid admission that most of the novel was written on the taxpayer’s dime, a bibliography, and an unprecedented call to action for Oregonians to celebrate the 50th anniversary of the Beach Bill on July 7, 2017. The novel costs $20 and shipping is $4. 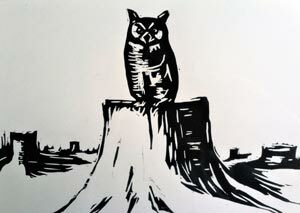 If you prefer not to purchase by Paypal, please contact Nestucca Spit Press through the web site. Every purchase of The Great Birthright includes a replica of a bumper sticker from Governor Tom McCall’s 1970 re-election campaign.